A small but mighty sampling of Fender's 2015 Winter NAMM Strat debuts. Click the pics for close-up versions. For more details on the top 3 images plus other new 2015's Click Here. 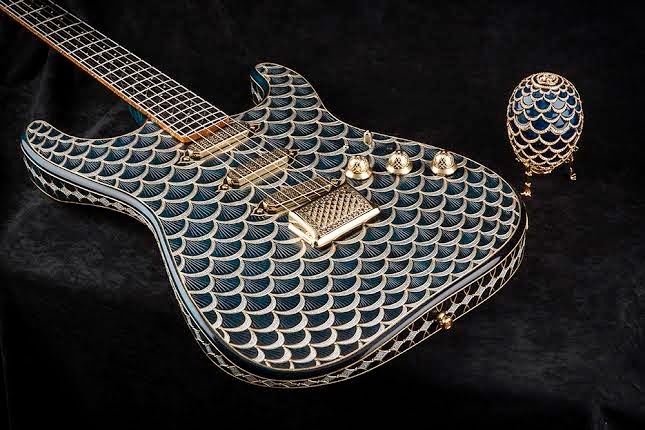 "..SCOTTSDALE, Ariz. (January 22, 2015) – The Fender Custom Shop is proud to announce Senior Master Builder, Yuriy Shishkov’s latest masterpiece – the handcrafted “Pine Cone Stratocaster” guitar modeled after the antique “Pine Cone” Easter Egg made by Fabergé in 1900. For more information, go to www.fender.com/custom-shop/."